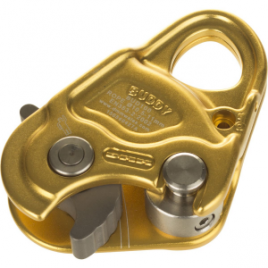 The DMM Buddy 100 fall arrest device has your back whether you’re jugging up an aid climb, Z drag rigging, or rescuing another buddy. This hands-free device freely follows 10. 5-11mm static or dynamic ropes both up and down, and its minimalist design is easy to use when you’re in a hurry.